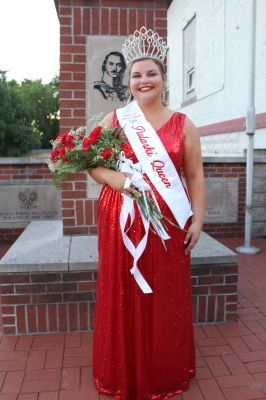 My name is Emma Arsulowicz and I am your 2018-2019 Pulaski Queen! I am the daughter of Stephen and Ann Arsulowicz. I’m the Marketing and Development Director at Beautiful You by Profile and a member of the Ladies’ Auxiliary at Polish Falcons, my sponsor hall. Born and raised on the Westside, Pulaski Days has always held a special place in my heart. I am honored to represent our community for this next year! Our Polish community’s enthusiasm for our heritage is magnetic, and I am so proud to be part of it! From the dancing, to the food, to the friends, there is no place I would rather spend every first weekend of October! 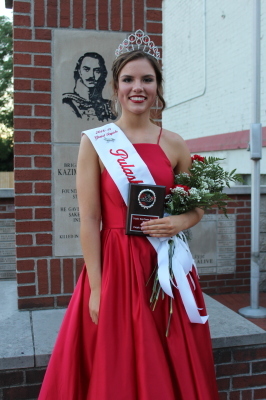 I look forward to all the fun times ahead with our Pulaski Court, Katie Egan! Thank you for the opportunity to represent our Polish community, and I look forward to meeting you all!! Na Zdrowie! Hello! I’m Katie Egan, I’m an 18 year old freshman at Michigan State University majoring in dietetics. I grew up with a dad in the military so I’ve lived in many different parts of the US, but have always been able to call west Michigan home. I love dancing, going up north and hanging out with my family. I’m so excited to polka my heart out and serve as your Pulaski Court Member this year! Happy Pulaski days!